The following is a written Essay for Philosophy where we were asked to share what came up for us while reading the Bhagavad Gita and this is the in response to Chapter Four on Wisdom. 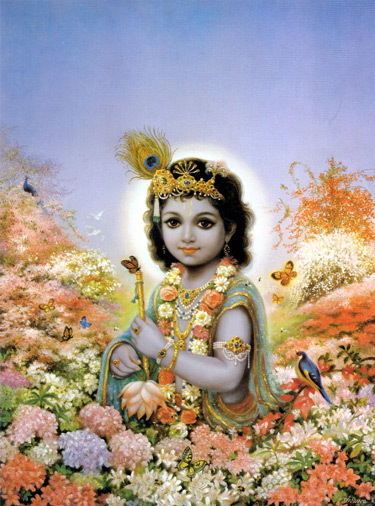 The Bhagavad Gita is written on two levels, one that speaks to the mind and one that speaks to the Heart. Although, ultimately, there are not two separate things, for the purpose of this writing, we will imagine that there are. One cannot know why some are “touched” by the Truth, while others seemingly are not. It does not make one better than the other; only more Aware. When one is touched by Truth, the mind begins to be pushed to the backburner. This is not always a simple process, and depends on how deeply one relies on the mind as its tool to receive information. If one uses the mind only to process (or release what comes through), then the transition is much smoother because the jump from mind to Heart is not as far. If one relies on the mind to understand the process, then one begins to go in circles, because the mind cannot understand what it is IN, and all attempts to understand creates a kind of insanity (which then creates fear, and fear; breeds fear). However, it will only go on for as long as one resists and continues the attempt to bring Heart to mind, instead of relaxing mind into Heart. Sounds simple, and ultimately it is, however, one is wise not to underestimate the power of mind to remain in control (the mind thrives on complexity; and the Heart Reveals itSelf in Simplicity). The good news is that there are not two separate things (Heart and mind) because the mind is IN the Heart. One does not have to fear insanity or anything at all; because no matter what, you are always in yourSelf. However, the cycle of attempting to understand can get out of hand for a while, again depending on whether one begins to accept that they will not ever understand. If that is the case then one naturally relaxes and lets go of understanding, and begins to Know. What is the difference between understanding and Knowing (with a capital “K”)? The difference is that understanding comes from the mind and is something that can be explained and understood by the mind (it is proof of something). “Knowing” comes from what the mind is IN and is Revealed. When you “Know” something you do not require proof (you don’t need proof of air to breath and you don’t need proof of knowing; to Know). Words will not ever explain this, but if you Know or are at least willing to know where you are being pointed, then you will need no words. There can be no other way, direction than towards Truth. Action and in-action are both in Truth. When the Self falls asleep too deeply … it Awakens out of the call through the mind from the Heart. The dream that one is in is meant to “feel” real. That is the Gift for Self to experience itself as something “appearing” as other than what it is. However, when it gets too dark, too serious, a call is sent out to Self, which Awakens itself, and brings the Light unto the world. Self is not a person, it does not think, yet all thinking is in it. It understands everything without understanding, its intelligence is so great that there is no way to comprehend or describe what intelligence even is. Self is before your own breath, it is beyond anything that can be imagined, because imagining is in Self. It cannot be used, but it uses everything to reveal itSelf to itself. It is the only thing that lasts and it is not a thing. All paradoxes point to it, but will not ever help you to understand it (and IT is not an it). When you are truly ready for Wisdom and Knowledge, you will begin to question who you are. One does this by asking one simple question and it is the only question one ever need ask, in any situation, it is first person singular, the question; “Who am I?” Ask it with all sincerity and accept no answer that comes. Dig and dig and when you tire of digging, dig some more. Wisdom has no path. However self-interrogation leads one Home. Austin, Wayne, Dialogues with a Master, The Spider, Create Space, Print. Austin, Wayne, First There is a Mountain, Who Am I? Really, Create Space, Print. Cinefx Productions, “Talks With Ramana Maharishi,” Talk 146, Internet Video. "Who Am I?" A Strategy For Self-Realization." Hinduism Today 30.2 (2008): 52-53. Academic Search Complete. Web. 4 May 2013.